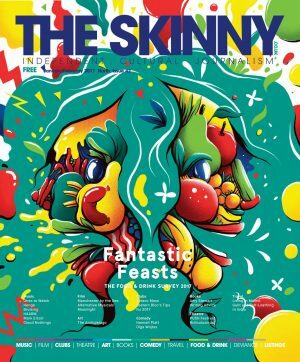 Arts and education publication The Skinny is to stop publishing its bi-monthly edition in the north. The July/August edition of Skinny North will be its final one. Sales executive Issy Patience sent an email announcing the news. She said: “It’s with a very heavy heart that I have to share this announcement with you. The past year has been spent attempting to recalibrate the publication with a large degree of success. “However, while the product itself is being well received, the financial side of the business continues to be challenging. A number of senior members of the team moved onto new job roles over a short time period, leaving the management team with a huge task in terms of recruitment and training, a challenge which, at this point, and given the limited resources of the business, we are sadly unable to meet without jeopardising the company as a whole. “This is sad news for all of us and we thank you for all the support, encouragement and love you’ve shown The Skinny North since April 2013. It’s truly been a pleasure working with you. The independently-owned publishing company was founded in Edinburgh in 2005. It was launched as a free title in competition with Scotland’s long-established paid-for entertainments and listings title, The List.